Auto Repair Shop in Rossford, OH 43460 | Car Maintenance & Repair | Duricek Automotive & Marine Inc. Very professional, prompt, and courteous! On Wednesday my brakes were suddenly grinding bad and were unsafe. On Thursday afternoon Duricek's rushed and got my van into the shop, Nate stayed late that day to finish the job, & Thursday night I safely left for Chicago with my Van. Very professional, prompt, and courteous! So happy to use Duriceks! Car repairs finished on time, labor is always VERY fair. Totally trustworthy! After taking my truck to a big name shop for a repair and having them tell me it was unrepairable I took it for a second opinion. I am sooo glad I did. At a recommendation of a good friend I called them. They diagnostic checked my vehicle and found a simple issue that was repaired in seconds. My truck is running great! Everyone there was friendly and honest and not trying to take advantage. I will be recommending everyone who needs repair to stop in and will not be spending another dime at the big named shop. Thanks! Amazing service, care, and value! Duricek Auto was very professional, thorough and helpful. They fixed my older car's heating system and now it works amazing. After the fix, they followed up to make sure the repair was done well. They noticed some other problems with my car, but did not automatically jump to conclusions and "fix" them like some other shops tend to do. They gave me the info to get it fixed in my own time. Great service and a very reasonable price!! Highly recommend and will return! We started out with a $2300 estimate for repairs on our 2000 Honda Accord from a dealer. We asked you to quote the same job...$600 less. Then when you actually did the work, you determined that we did not need all that work done! THANK YOU! Especially with the holidays coming, it was greatly appreciated!!! You guys are great! When your vehicle stops working properly, your first move is to contact your local mechanic. But did you know that maintenance service intervals are just as important in caring for your car? 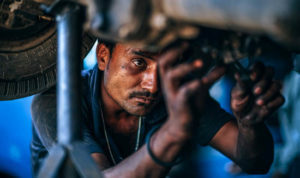 At Duricek Automotive & Marine, we perform all manufacturer specified services to help you avoid costly repairs and keep your vehicle performing its best. 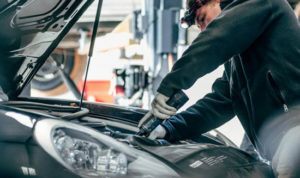 At Duricek Automotive & Marine, we offer thorough tune up services for vehicle owners. If you’re having trouble stopping for sudden red lights or you’re hearing disturbing squeals when you push the brake pedal, then it’s time to consult a trusted brake repair company. 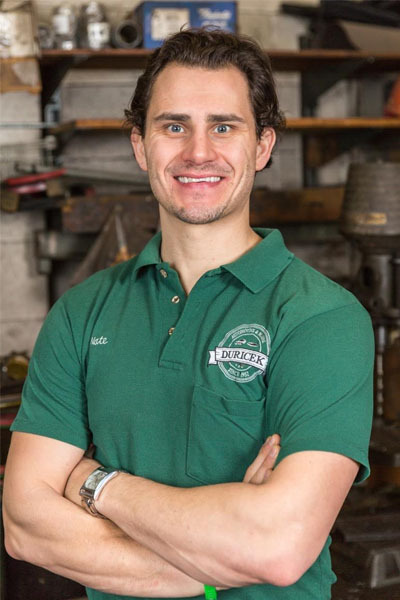 You can turn to the team at Duricek Automotive & Marine for all your vehicle repair needs. Uncomfortable temperatures can seem all that much worse when you’re behind the wheel, but maintaining a functional and efficient AC and heat system in your vehicle doesn’t have to be a difficult endeavor. At Duricek Automotive & Marine, we provide reliable auto AC and heat repair services to drivers. When your car is on the fritz, you need automotive services you can count on. Whether it’s an oil change, a quick repair, or a new transmission, we have the expertise to do the job right. 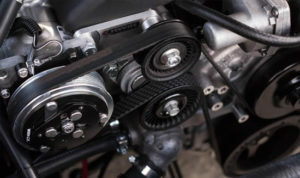 Our mechanics have the experience necessary to service a wide variety of vehicle types. 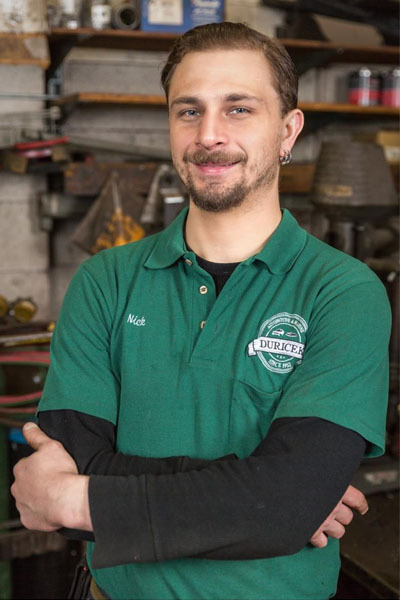 For proud boat owners in Rossford, OH who are having trouble finding trustworthy boat repair services, Duricek Automotive & Marine Inc. can come to the rescue. I recently had an oil change done at a big name automotive business and asked them to look at my brakes due to squeaking noise. They did a free inspection and I was told I needed back brakes as well as rear rotors. I remember having my rear rotors replaced 1.5 yrs ago so a red flag went up immediately. I decided against having them replaced and called up Duricek's Automotive for a 2nd opinion. Nate made me an appointment for the very next business day and told me if I did need the work done they could beat the competitors price. Turns out the only thing wrong was a loose brake piece that Nick replaced which fixed the squeaking noise. I did NOT need new rotors and was told I didn't even need new brake pads until next oil change! As a female I am glad I can rely on honest mechanics at Duricek's Automotive to tell me the truth and who don't try to scam money from me. Since 1952, Duricek Automotive & Marine has been a leading auto repair shop in Rossford, OH. 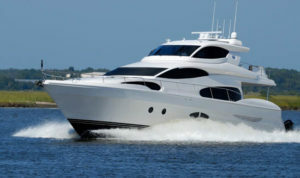 We service a vast array of vehicle makes and models, and we’re also experienced in marine repair services. We offer convenient weekday business hours, and we’ll get you in and out as quickly as possible.